My Concise Dictionary of 26 Languages (not that I want in any way to vouch for its reliability) tells me that “tie” in Japanese is the charming ネクタイ (nekutai). In Russian it is галстук (Galstuk) which comes from German Halstuch (neckcloth), but German itself has Kravatte and then French has cravate, Spanish corbata, Italian cravatta, Portuguese gravata, Rumanian cravată Polish krawat, Czech kravata, Serbian кравата (kravata), Finnish kravatti, Turkish kravat, Greek γραβάτα (gravata) and Yiddish kravat. The origin of this is generally ascribed to the fact that the Croatian mercenaries in the French army in the Thirty Years War wore linen scarves which became popular in France and that when Louis XIV took to wearing them their use spread throughout Europe. This is a suggested derivation: Fr. cravate, from Cravate “Croatian,” from Ger. Krabate, from Serbo-Croat Hrvat “a Croat,” from O.Slav. Churvatinu “Croat,” lit. “mountaineer, highlander,” from churvam“mountain.” Cravate then is basically the same word as Croat. Croatians seem to be inordinately proud of this. The website Croatia Online is subtitled “from the homeland of the first tie” and provides a much longer explanation of the passage of the word into other languages, taken from François Chaille’s La Grande Histoire de la Cravate (Flamarion, Paris, 1994), a book which had previously escaped my attention. It also provides explanations on how to tie a tie. However they fall well short of Thomas Fink and Yong Mao, two mathematicians who published a study in Nature, proposing a mathematical model to calculate and classify all possible tie knots. cravat as a part of Croatian and world heritage. to transmit many discreet messages to the world. Academia Cravatica undertakes a number of fascinating projects, such as putting a tie around the Roman amphiteatre in Pula, putting a tie all around the borders of Croatia (Cravat around Croatia) and another one called Tie in the Rye which I haven’t fully understood. 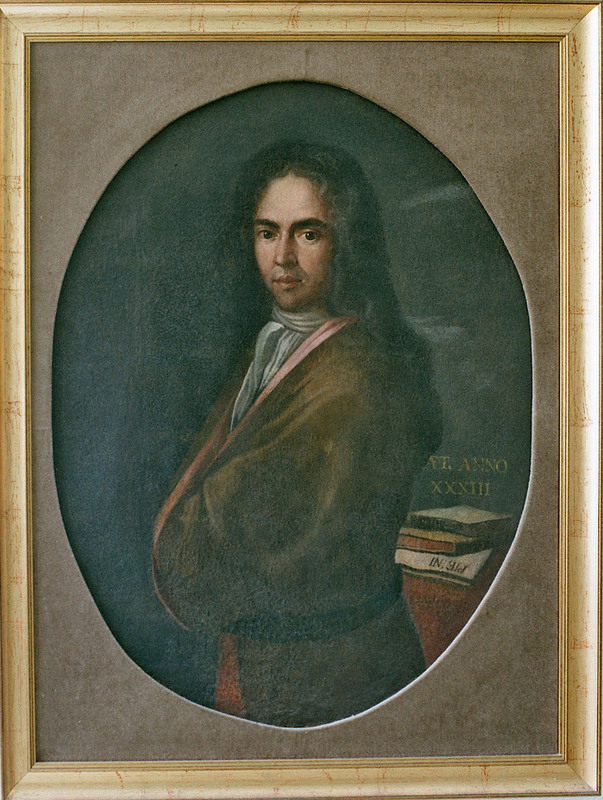 In its news section, one entry reveals that his 1622 portrait proves that Ivan Gundulič wore a cravat before Louis XIV, which should at last put paid to those unpleasant all-night arguments I am sure we have all had. Strangely enough the word for tie is kravata in Croatian as well. So what were the Croatian mercenaries in the Thirty Years War calling it ? Maybe they were too busy to have a name, but I really hope it wasn’t galstuk or nekutai. Take care of this quickly Academia Cravatica. There is another area I think they still have to research. When I was looking for information on the academy, I couldn’t remember what the name of the organisation was exactly and so I typed “Croatian academy of ties” into a search engine and the first result was Chinese, Croatian Presidents hail bilateral ties. I believe I have never seen anybody or any two people wearing a bilateral tie. Perhaps they could tell us more about them and possibly enlist Fink and Mao’s help to provide instructions on all the ways to tie them. 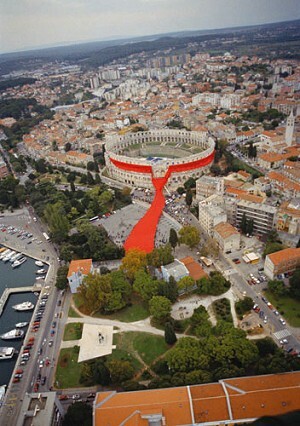 The only point of all this is to point out that saying “Croatia” is just another way of saying Tie-land.